It’s officially been a year since Caracara Brewing Company has opened its doors on Market Street, and its anniversary weekend activities include a local church’s St. Patrick’s Day celebration on Saturday. Given that St. Patrick’s Day was March 17 to most people who use the Gregorian calendar to measure time, the celebration might seem a bit unorthodox. But it’s anything but. The celebration actually falls on the Julian calendar’s St. Patrick’s Day, or the one observed by St. Andrew Orthodox Church, which is located across Main Street from the brewery. The celebration will begin at noon Saturday and continue through midnight. Fifty cents of each sale at the brewery will go to the church, which will use the funding to provide kits that will include razors, basic toiletries and feminine hygiene products to transient and indigent families in town. Ryan Lozano – known as Father Ignatius to his congregation – said the idea for the event actually originated because St. Patrick’s Day fell on a Sunday, which meant partying opportunities would be kept at a dull roar. “I then checked since we’re on the old (Julian) calendar that runs 13 days behind, and lo and behold – St. Paddy’s day on a Saturday, perfect for a celebration,” Lozano said. “That, and as the only church more or less on the courthouse square, we really want to be a good neighbor to the businesses all around us, and an active part of the downtown scene. Lozano said beer and the Eastern Orthodox Church have historically gone hand in hand. “Right now we’re in the Great Lent, and if one follows the fasting guidelines strictly (remembering that they were established by and for our monastics), you can’t eat anything with a spine (so no Friday fish fry for us), no dairy, no eggs, no oil, and no wine (aside from that used in the Eucharist),” Lozano said. “ In other words, it’s pretty limiting, and we end up eating a lot of hummus and PB&Js, but in the Slavic tradition, beer is a fast-friendly food, considered to be essentially liquid bread. 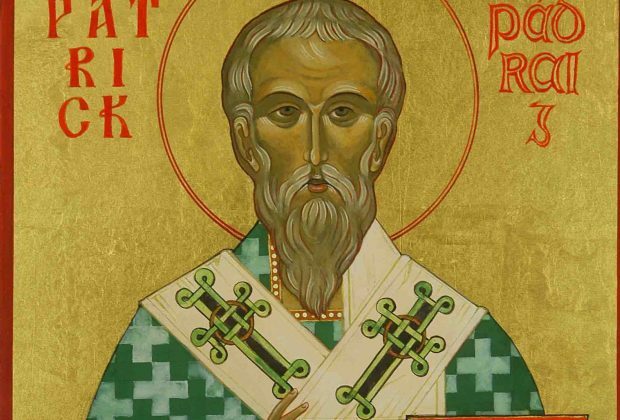 Of course, St. Patrick’s importance goes beyond just that of beer consumption. “In the Eastern Orthodox tradition, we refer to him as “Our Father among the Saints, Patrick of Ireland, Bishop of Armagh and Enlightener of Ireland;” if you visit St. Andrew’s you can see a large icon of him on the Theotokos side of the iconostasis (the wall of icons that separates the altar from the nave),” Lozano said. “What most folks may not know is that he was actually born a Briton (though in Scotland), and was taken to Ireland as a slave; he escaped, but later returned and took Christianity with him in the 4th century. 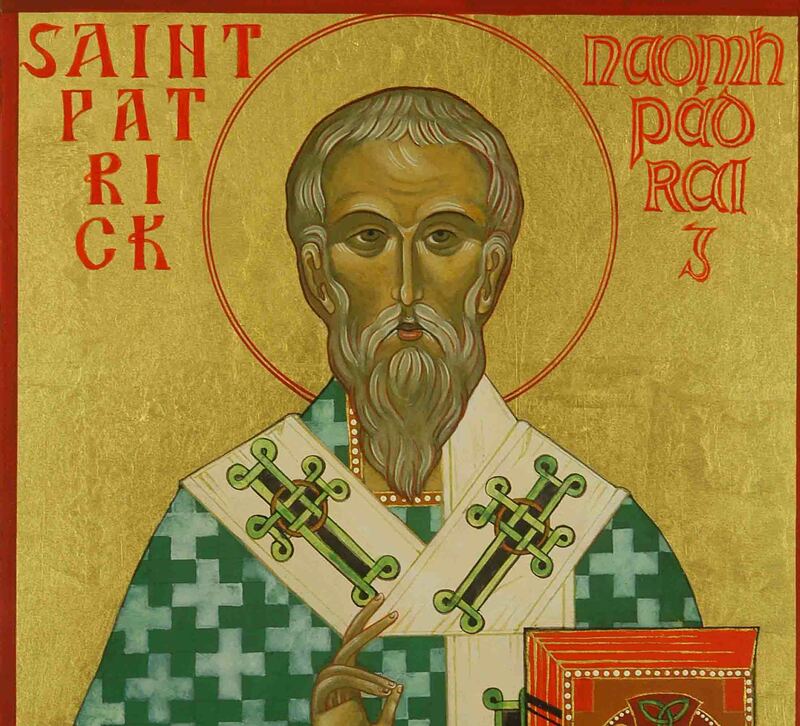 Perhaps his most well-known contribution to our theology was his use of the shamrock (the plant, not the shake) to teach the Trinity, showing that God is three persons but still one God. Lozano said the church already has a modest food pantry, but wanted to add the hygiene kits to its offerings. A list is available on the church’s website, www.orthodoxlockhart.org. “We plan to assemble several kits from the proceeds and have them available at the parish for anyone in need, no questions asked,” Lozano said. Lozano congratulated Caracara on its one-year anniversary and said he was fond of the brewery, as well as Main Street in general. “Caracara is one of my favorite places to go and meet friends, have a cold beer (I’m partial to their nitro porter), and maybe play a board game or listen to some music (I’ve become a Thunderosa fan),” he said. “I think what’s really important is the neat neighborhood aesthetic that’s being achieved, with the renovated library, the businesses on South Main, and of course, the wonderful Gaslight Baker Theatre.